T he surgeons at OTOR are certified by the American Board of Orthopaedic Surgery, ensuring expertise in the prevention, diagnosis and treatment of musculoskeletal conditions. The physician team at OTOR has a combined experience of more than 100 years providing quality care in East Tennessee. Our goal of excellence requires us to be considerate of the needs of our patients by providing state of the art technology and comfortable surroundings. We provide assurance of a team that is not only skilled and knowledgeable, but also caring and sensitive to patient needs. Click here to download our Welcome Brochure and to learn more about OTOR. 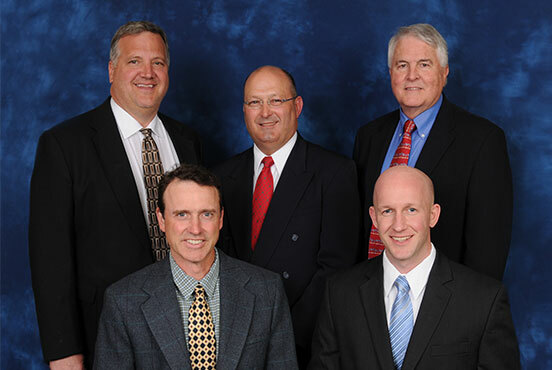 OrthoTennessee brings together the area’s best orthopedic physicians in the Southeast. Our aim is to work together to provide the most up-to-date, extensive care for our patients. If you would like to become a part of our team, visit our Careers page for a list of open positions. Please call the office at (865) 481-2541 for an appointment, as we do not recommend walk-ins. We realize emergencies may occur requiring prompt attention and upon receiving your call we will do our best to make accommodations to get you seen as soon as possible. Please note this policy is in consideration and out of respect for your valuable time and is an effort to reduce the amount of time you will spend waiting in our office to be seen. You will be asked to fill out or update documentation both prior to your visit as well as the day of your exam. This information can be attained from you by phone interview, fax, or by obtaining the forms to fill out and return to us prior to your visit. Current healthcare requirements make it necessary for us to keep up to date records and completing this in advance makes it more convenient for you. It is required to bring your insurance card or cards with you as well as a list of medications you are currently taking to each visit. Please check with your primary care physician prior to making an appointment, as many insurance companies require a referral before seeing a specialist. We require a 24-48 hour notice for prescription refills. You may request refills over the phone or by request through the online patient portal. Please call your pharmacy prior to picking up your prescription to make sure it has been called in and is ready for pick up. We are unable to fill/refill narcotics or other prescriptions after office hours or on the weekend. Due to recent reclassification of many prescription pain medications by the DEA, our prescription refill policies have changed. We can no longer call or fax a prescription for any pain medication containing hydrocodone, it must be signed by a medical provider and picked up at our office. Because of that, we could need up to 48 hours’ notice from you for those requests. We’re sorry for any inconvenience but must follow the new DEA regulation. All clinical phone calls are answered within 24 hours, except on the weekends. When leaving a message, please state your name, date of birth & return phone information along with any questions you have. You may also utilize the online patient portal for your convenience. Our Oak Ridge office is equipped with a state-of-the-art MRI unit designed specifically for the knee, ankle, elbow and wrist. We also offer full MRI services at our corporate location as well as utilizing other area facilities for the convenience of our patients.